Sola Sobowale is a Nigerian film actress, screenwriter, director and producer.She joined acting as a member of the Awada Kerikeri Group under the leadership of Adebayo Salami. 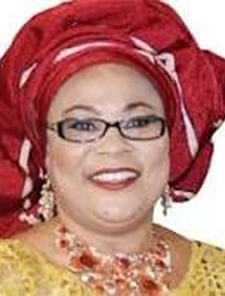 Over the years, she had scripted, co-scripted, directed and produced several Nigerian films. She scripted, produced and directed, Ohun Oko Somida, a 2010 Nigerian film that stars Adebayo Salami.She featured in Dangerous Twins, a 2004 Nigerian drama film produced by Tade Ogidan, written and directed by Niji Akanni.She also featured in Family on Fre produced and directed by Tade Ogidan.